“If history were taught in the form of stories, it would never be forgotten” and that’s how Egypt achieved immortality. the great sun god, the father of gods and humanity, He is the personification of this mighty star, and everything in Egypt including the pyramids of Giza. 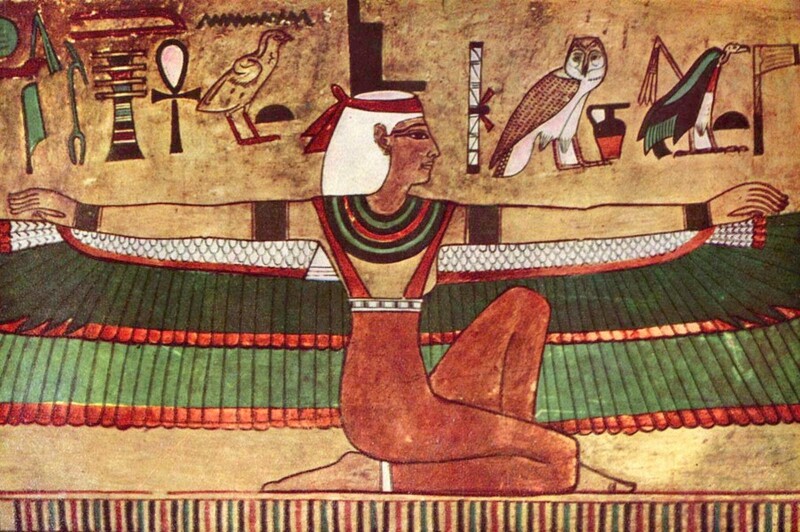 Ra is the first celestial being who created the universe, life, and order instead of chaos. 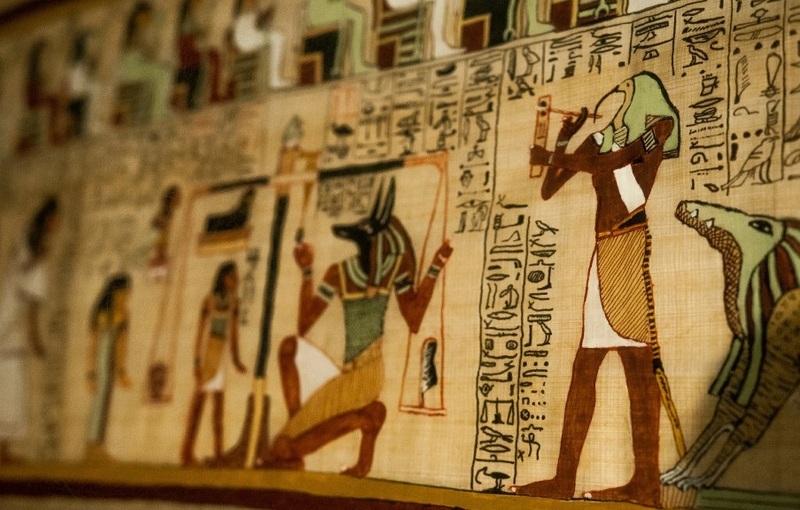 Ra was the supreme creator who ruled over the land of both the living and the dead. He looked like a child in the morning, an adult amnst high noon, and an old man in the evening, he wears a crown with a solar disk upon which a sacres asp rested. He was the most powerful god who would protect other gods and souls from the primordial serpent “Apophis”, even when the god Amun rose to Power, Ra’s position was untouched he even merged with him and became the supreme god Amun-Ra. One of the early gods of creation, the great-grandson of Ra. 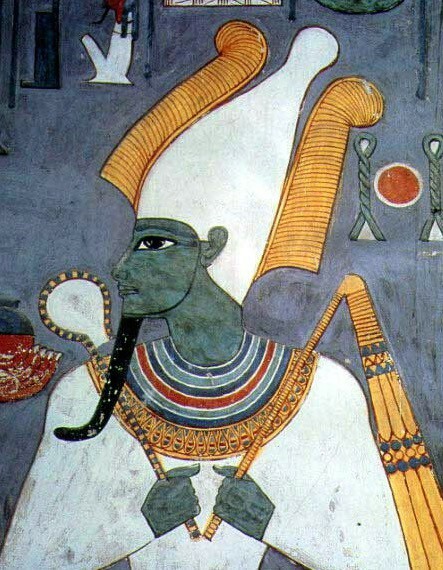 He was the god of fertility and grow in fame, popularity and influence because of the Osiris Myth in which he is killed by his evil brother Set “God of the Desert” then brought back to life by his sister-wife Isis “Mother of the Gods” and Horus the Elder, then descends to the underworld and became a lord and judge of the dead. 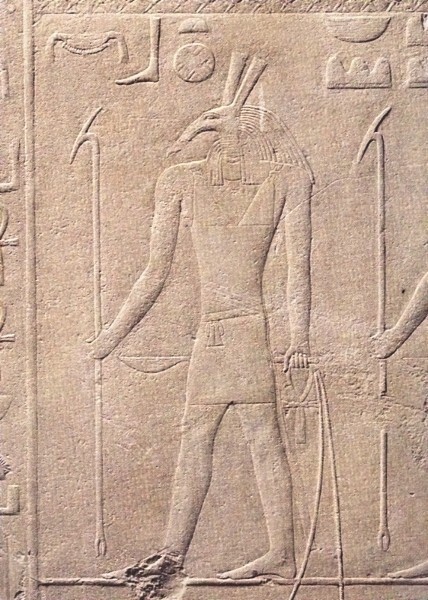 He is shown as a mummy with two ostrich feathers and a miter. 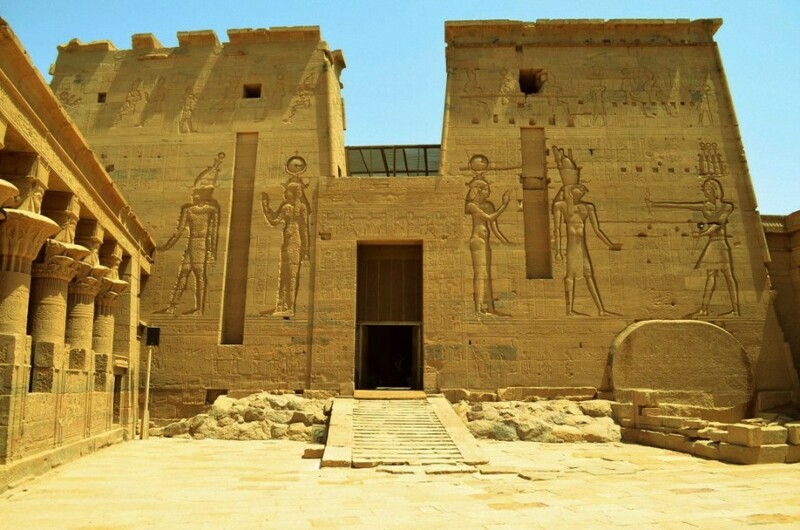 In the afterlife, he is a judge in the hall of Truth who weighs the souls of the dead against a white feather of the goddess Maat “goddess of truth and justice”. “Mother of the gods” who became a super deity and had a link with virtually every aspect of humanity in time, life, and death. 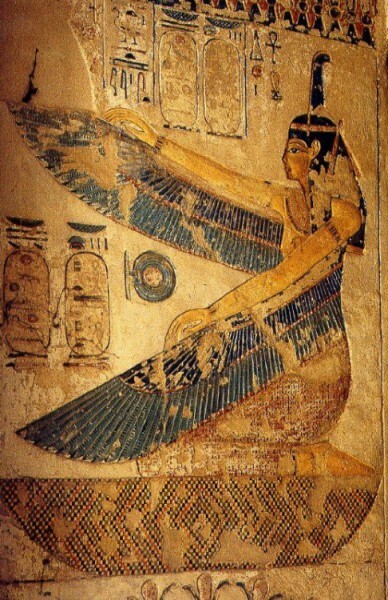 She became the most powerful and famous Egyptian mythology goddesses due to the Osiris myth and her true care for other gods and humans as she appeared to them after death to guide them to paradise. She was depicted with a tail and a throne on her head and had a massive cult that was worshiped in every part of the world from Britain through Europe to Asia. The son of Osiris and Isis. He is an avian god that takes the shape of a giant hawk or a falcon, He is linked to the sky the sun and power. He is very well-known because of his relation of the kings of Egypt as He ’s a symbol for victory and order and all the king believed that they were the incarnation of Horus also because of the Osiris Myth which he beat his uncle Set to avenge his father and restore order in Egypt. His symbol is the famous Eye of Horus. Many confuse him with Hours the ELDER one of the early gods of creation. God of chaos, pestilence, and war, depicted with a tail and a beastly head, He is considered a symbol of evil for killing his brother Osiris and bringing a new age of darkness on Egypt. He is a desert god who brought devilish winds to the Nile River in order to steal the throne and take control. For eight years he battled his nephew the sky god Hours and at the end, Horus won and declared king of Egypt. The goddess of justice, truth and most importantly harmony. 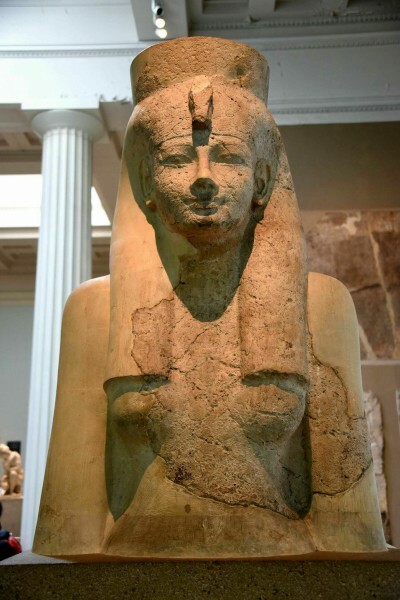 She is considered to be one of the most important deities as the concept of harmony was a central to the culture and every aspect of the ancient Egyptian and was part of all time and space within existence. She put the stars in the sky and regulated all the four seasons. She also took part in the afterlife as she transforms into the feather of truth that weighed against the souls to make the right judgment or as a spirit in paradise. She was presented as a woman wearing an ostrich plume and sitting on her heels. 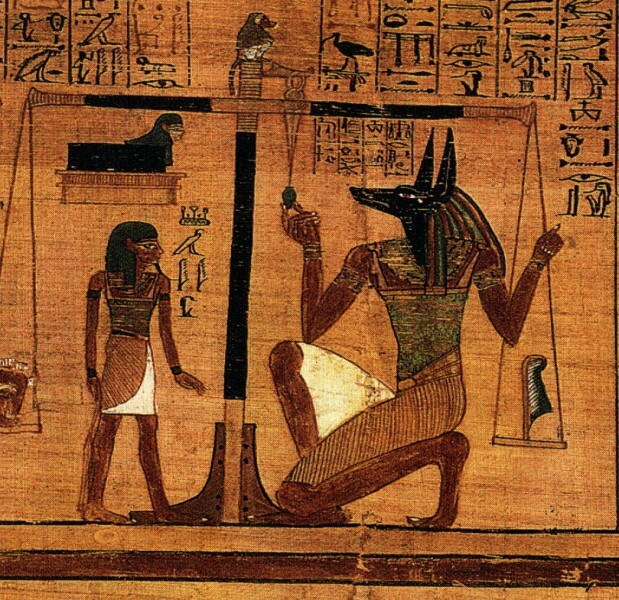 God of the dead and judgment, He is the son of Osiris and Nephthys. He one of the most famous Egyptian gods as he is known to be the original god of the dead, He guides the souls of the dead to the hall of Truth in the underworld and takes part in the ritual of weighing of the heart in the afterlife to determine their fate. 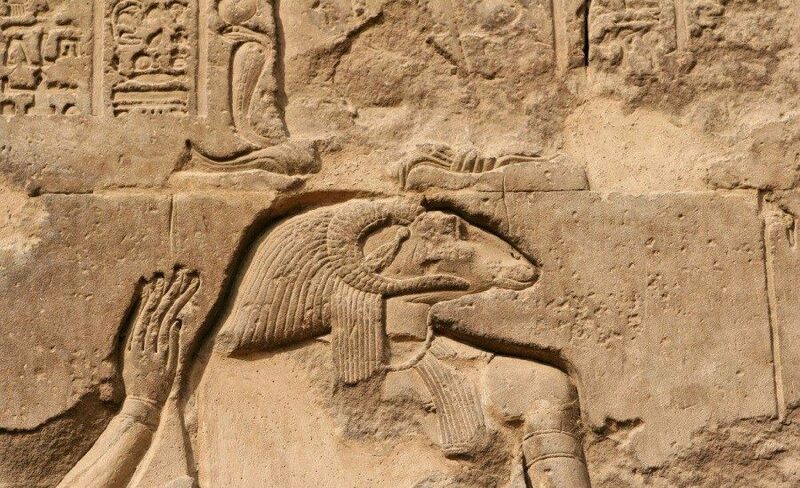 He’s depicted as a man with the head of a jackal carrying a staff. A funerary goddess, the twin of Isis, the wife of Set and the mother of Anubis. She is considered to be a dark goddess opposite to the light of her sister Isis. Her name means the mistress of the house and depicted as a woman with a house on her head. She is known to be friends of the dead as she cares for the souls in the afterlife. She played a part in the Osiris Myth as they loved Osiris as she transformed herself in the form of Isis to seduce him and that’s how Anubis came to be. 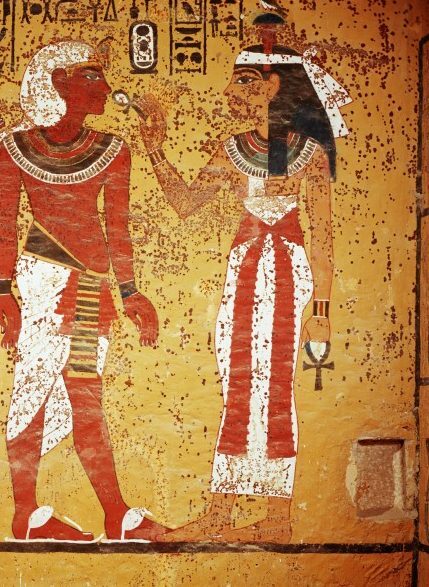 She betrayed the location of Osiris to set and even help revive his soul from the underworld. 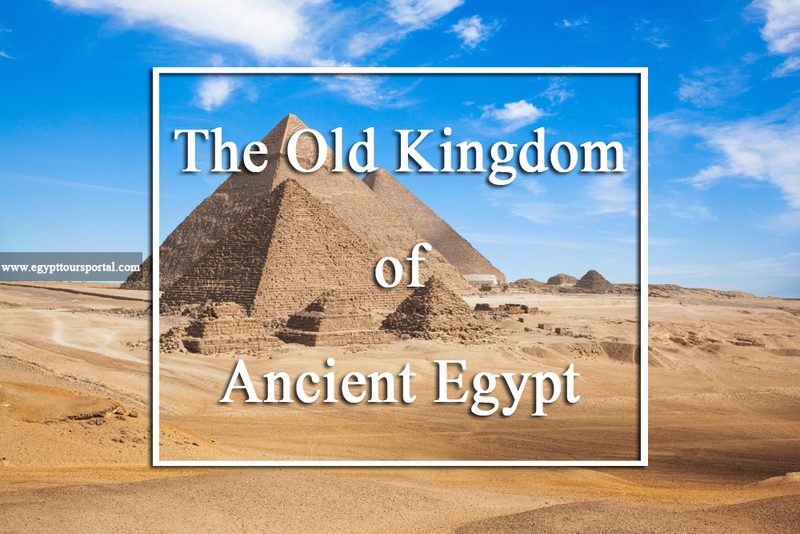 One of the most famous and important ancient deities in Egyptian Mythology. She the goddess of Drunkenness, joy, celebration, women, childbirth, and love. She is also associated with gratitude and being thankful. She is the daughter of Ra, who defends paradise from Apep, She also helps guide the souls in the afterlife to Paradise. She is depicted as a woman with a cow’s head or simply a cow. 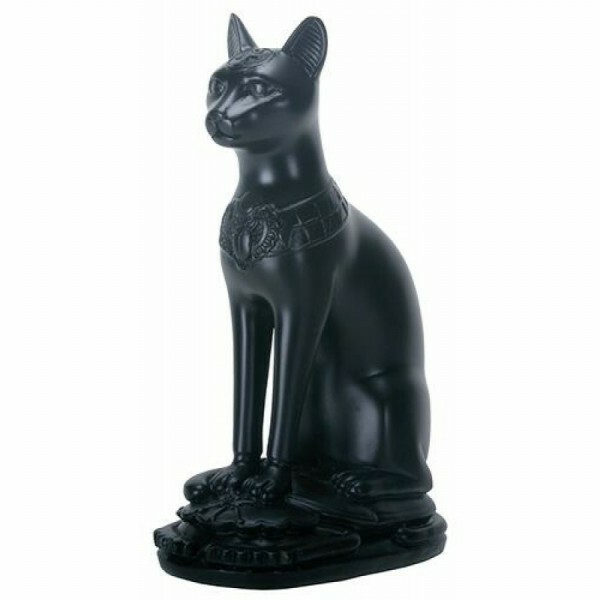 The beautiful goddess of cats, fertility and a protector of evil and misfortune, and the daughter of Ra who was adored by all and everyone carried her talismans. She was so revered as in 525 BCE the Persians used the Egyptian devotion to Bastet as they painted images of Bastet on their shield and drove cats in front of their armies and as a result, the Egyptians lost the battle of Pelusiuminstead of offending their gods. She was depicted as a cat or a woman with a cat’s head. Her myth was used to create the DC character “Catwoman”. The god of wisdom, knowledge, and writing. 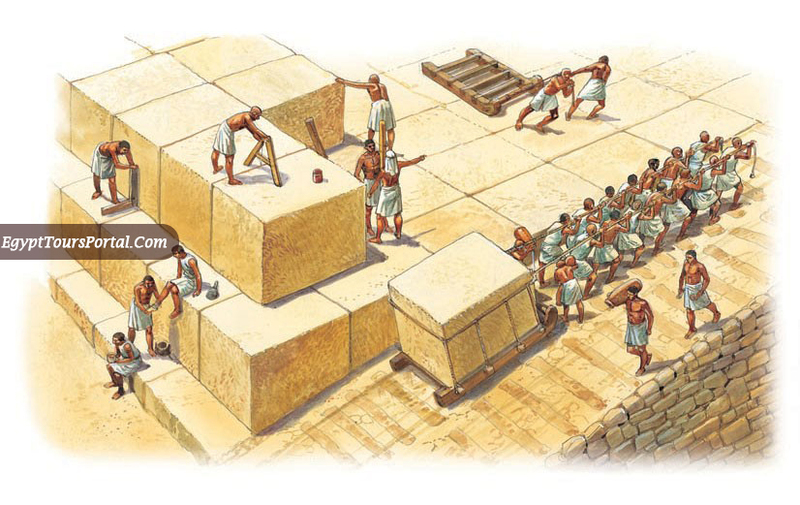 He is credited as the inventor of writing and the record-keeper of the gods. He is also the patron of libraries and scribes and the Lord of time and Reckoner of years due to his control of time through his powerful divine knowledge of words. He is also known to be a benefactor of humanity as he gave them the gift of the written word. He also kept records in the Hall of Truth during the Weighing of the heart. 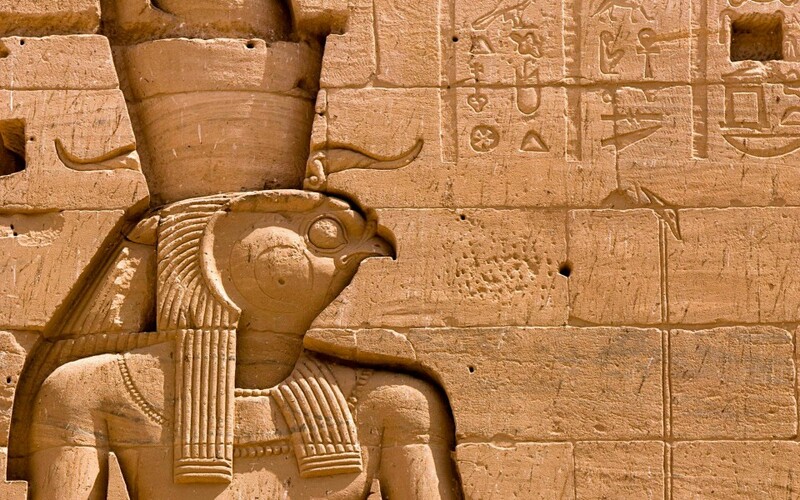 He is depicted as a man with the head of an ibis holding a writing implement and his wife or daughter was Seshat who was his female counterpart and the goddess of libraries and books. The god of the city of Memphis, known also as Ptah-Nun or Ptah-Naunet. 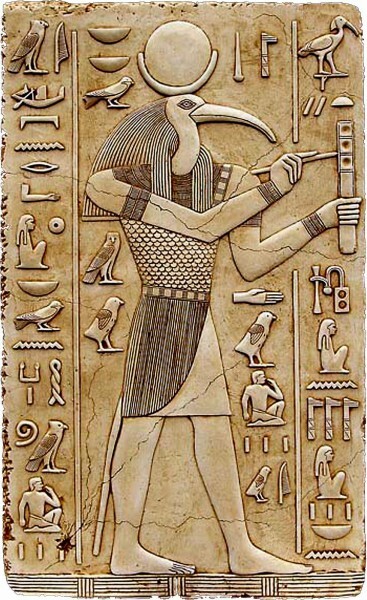 He is one of the oldest gods in Egyptian mythology, he is even confused with the sun god Ra. 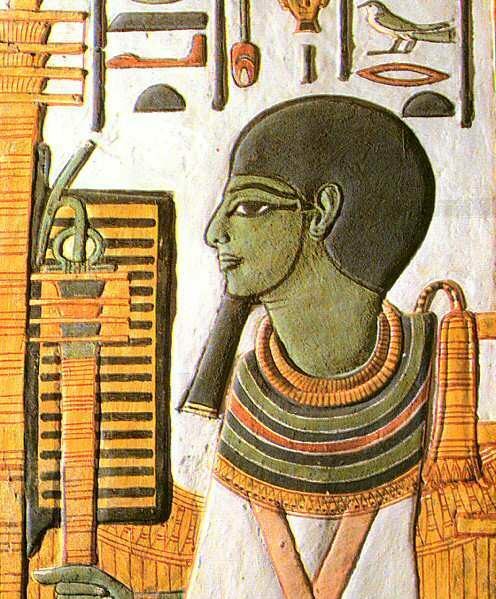 He is depicted as a mummified man wearing a skull cap and holding a scepter of authority. he is known to be the lord of truth and the patron god of sculptors, craftsmen, builder or any artists of any kind. 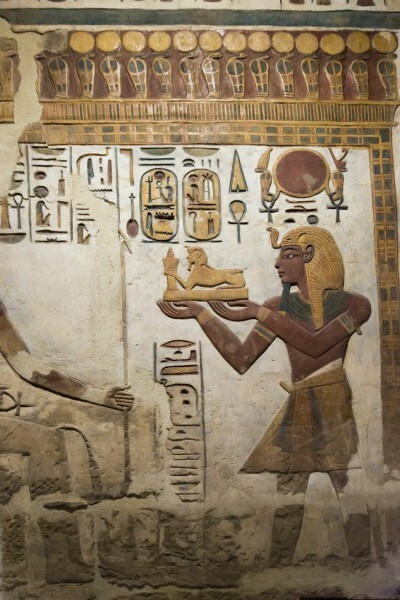 The god of potters and originally and the god of the source of the Nile. 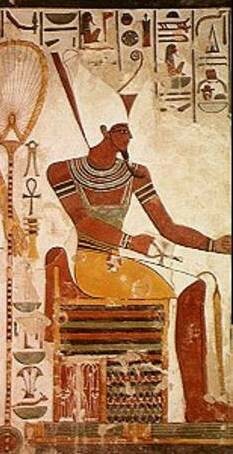 It is known he’s from the Nubia from Upper Egypt. He’s the one who created the humans from the clay of the Nile River then held them to Ra the sun god, to give them life. He is dedicated as ram headed-god who represents fertility and virility. He’s known to be the patron god of all of the potters. The Crocodile god, the lord of wetlands and marshes, and unexpected death. 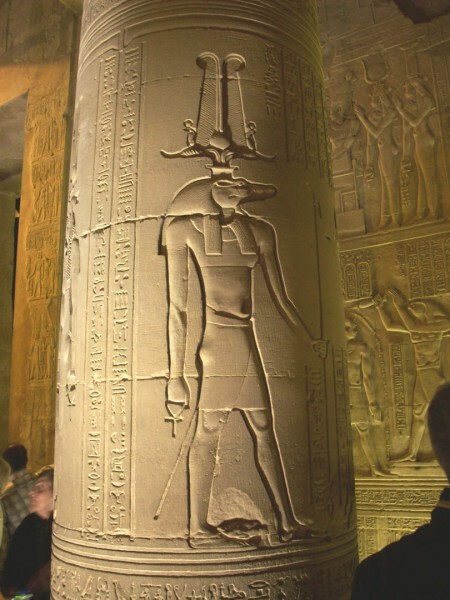 He is a very famous god in Egyptian mythology especially in the old kingdom, who is associated with procreation, fertility, medicine and the Nile as it was considered to be the sweat of Sobek. He is dedicated as a man with a crocodile’s head. He lived on a mythical mountain at the horizon where he ruled with absolute power. He had a great connection with the Nile as it was considered to be his sweat. 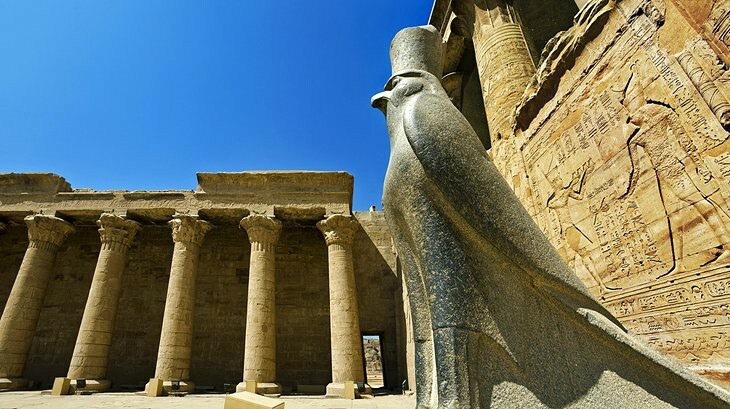 Ancient Egyptian history has marvelous stories to witness and share, So, discover the breathtaking archaeological sites of this majestic civilization by immersing yourself in an unforgettable journey to Egypt, check our Egypt tour packages and choose your trip on board a magical Nile cruise and cast your eyes on the stunning ruins of Egypt. 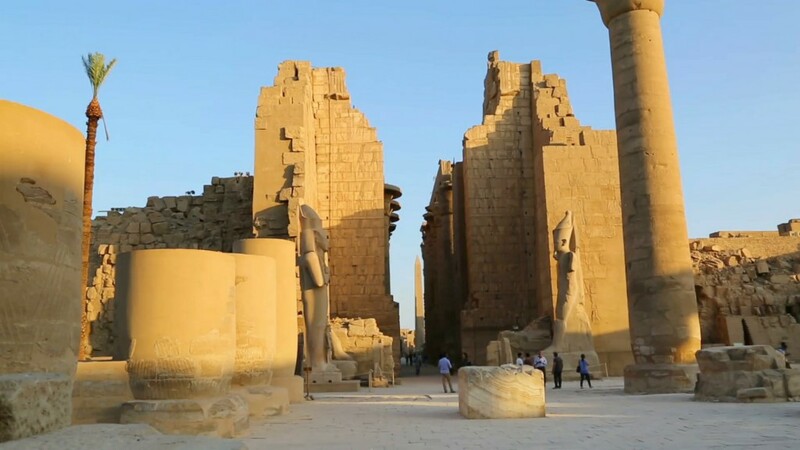 9 Egypt Tours Portal June 13, 2018 Luxor "The Ancient City"